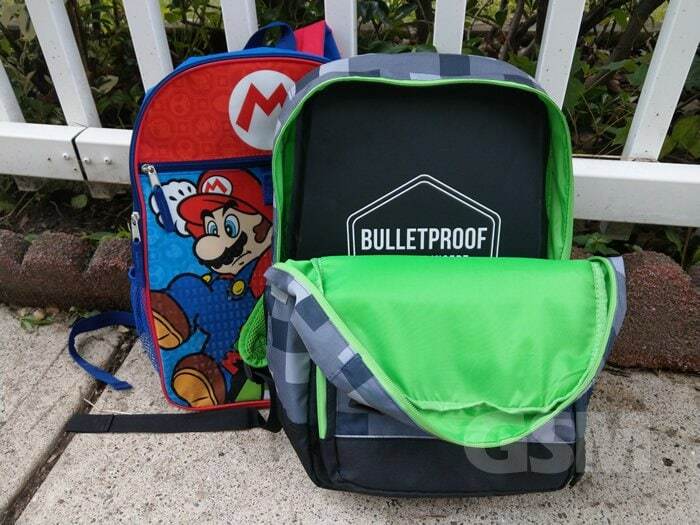 The SentryShield is a lightweight, thin, pliable bulletproof insert for your child’s backpack or your messenger or travel bag. Easily slip it into a backpack and give them that extra protection. It’s unfortunate that in this day and age we need to be aware of firearms infiltrating our schools and public spaces but that fact remains and doesn’t appear to be changing anytime soon. You always want to protect your family but you can’t always be there so it pays to remain vigilante. SentryShield helps watch your children’s back when you can’t. 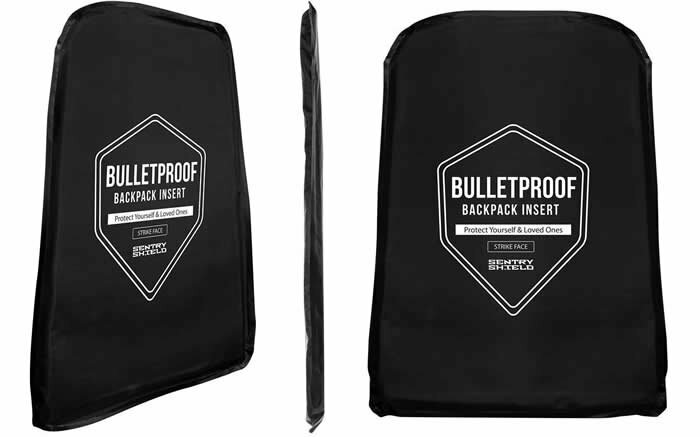 The SentryShield is a Level IIIA Bulletproof insert for your backpack. You could head out wearing a bulletproof vest but it might not be practical or comfortable. Lets face it, it can be the most bulletproof vest ever but if it is too cumbersome to keep with you it won’t get used. It pliable and easily slips into children’s backpacks and any bag of similar size and lightweight so it isn’t really that noticeable. SentryShield provides that extra protection without the extra load. 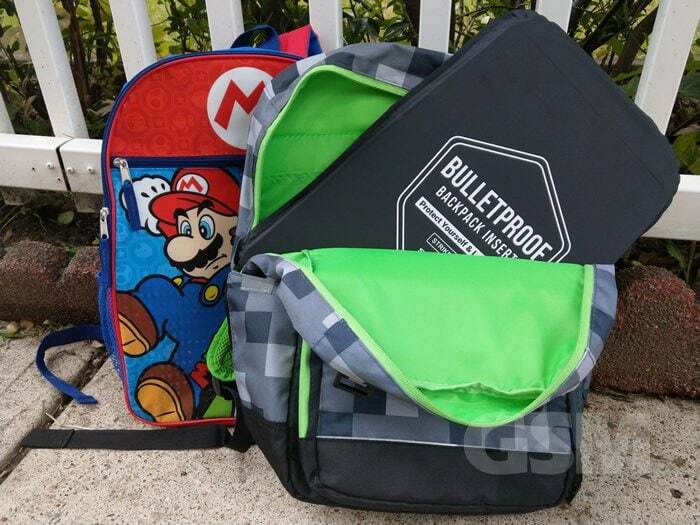 SentryShield has provided the Bullet-Proof Backpack Insert to us so that we could provide first hand review coverage of the product and quality along with our experience with it to our readers. The SentryShield measures 16.25″ x 11.75″ and weighs just 28 oz. It is just 10 mm thick so they most likely won’t even notice it’s there. It is flat and tapered so it’s easy to toss in or remove to place into a different backpack if you need to. SentryShield also offers a handbag version which weighs 24oz and measures 14″ x 10″ (no tapering) that works for larger handbags, totes, laptop bags, messenger bags etc. It is made of UHMWPE, Ultra-High-Molecular-Weight Polyethylene Fibers wrapped up in a nylon sleeve. 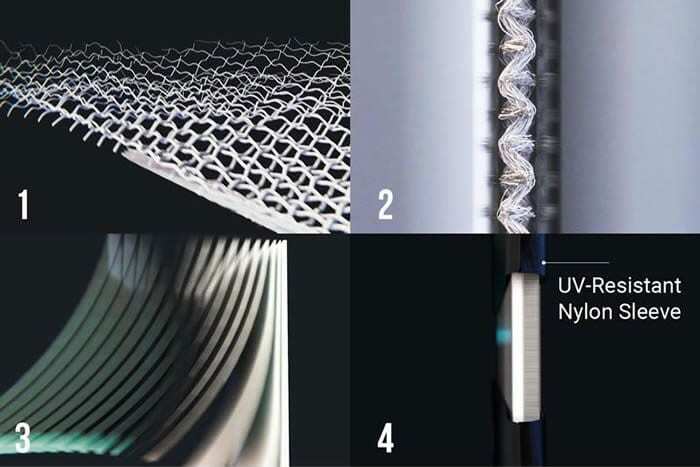 It is multi-layered, made up of 24 layers for effective and secure bullet-proof protection. What is Level IIIA Protection? 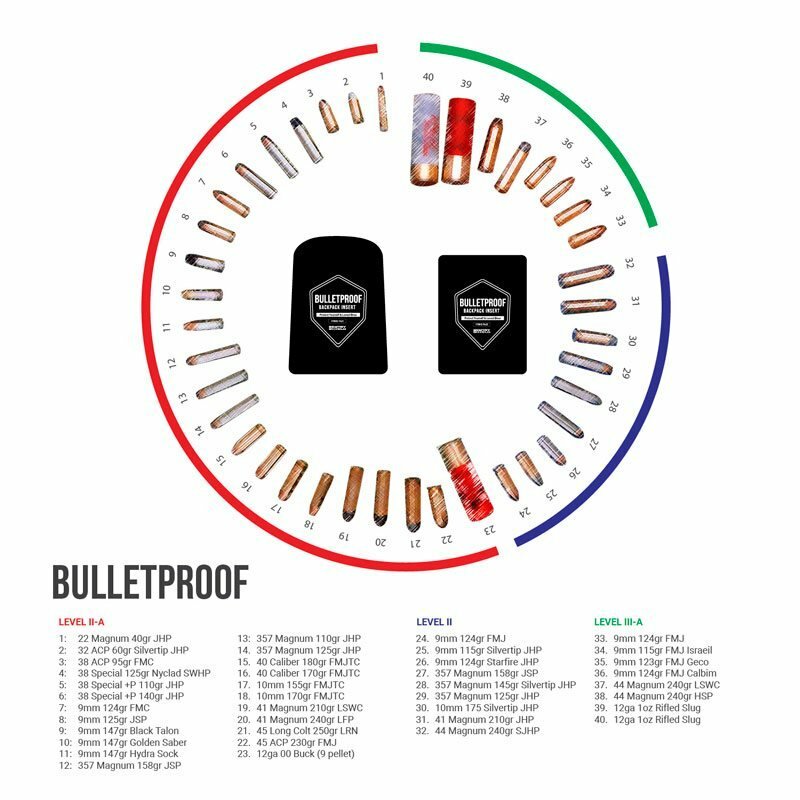 It’s important to understand the levels of bullet-proofing protection as standardized by the NIJ ballistic resistance standard. The NIJ Level IIIA gives you the best balance between overall bullet protection coverage and weight. 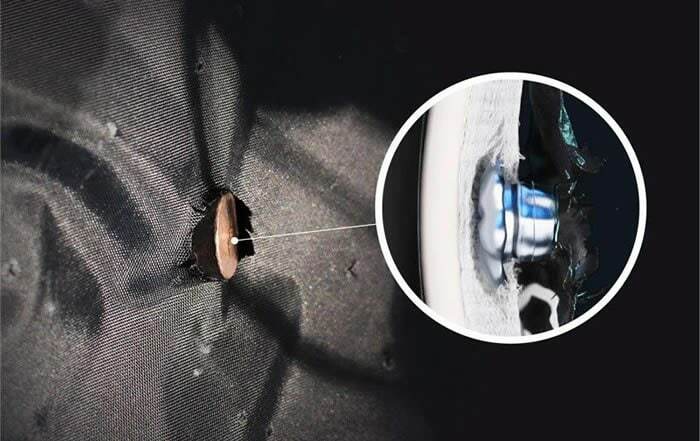 The level IIIA designation is the 2nd highest protection, only outperformed by the NIJ Level IV which adds 7kg of weight and adds protection against a .30 Armour Piercing bullet. It is rated as NIJ-certified Level IIIA by Body Armor Performance Standard. The SentryShield capable of protecting you from a 9mm full metal jacket round nosed bullets including .357 SIG, .44 Magnum semi-jacketed hollow point bullets, 12 Guage slugs and 7.62mm NATO rounds. 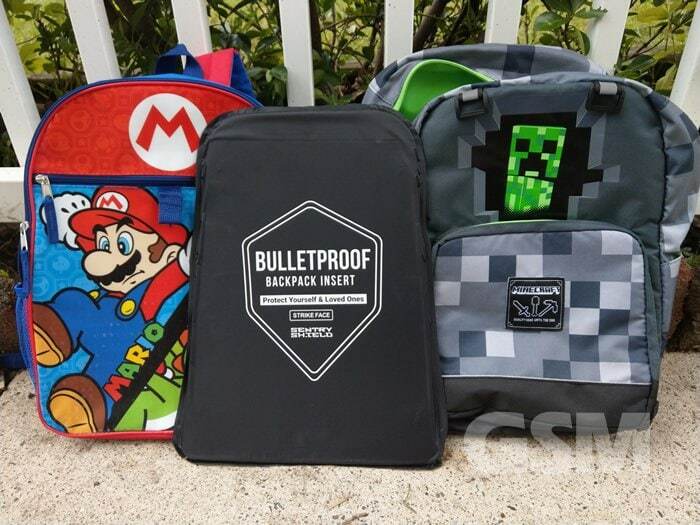 The SentryShield is a convenient bullet-proof insert that you can slip into your child’s backpack or handbag or messenger style bag. It is lightweight, easy to deal with and most importantly can help give that added layer of protection against bullets. Rated for NIJ Level IIIA threats. The SentryShield isn’t a guarantee against being shot. It is however an easy and convenient way to add another layer of protection to deter bullets for you or your children’s vital organs. Recommended for protection and convenience.